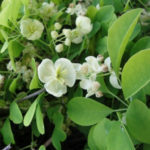 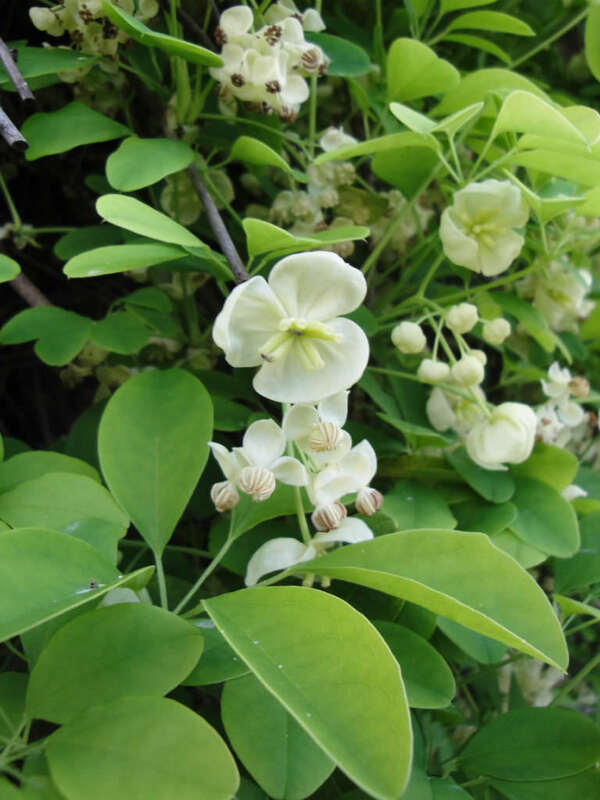 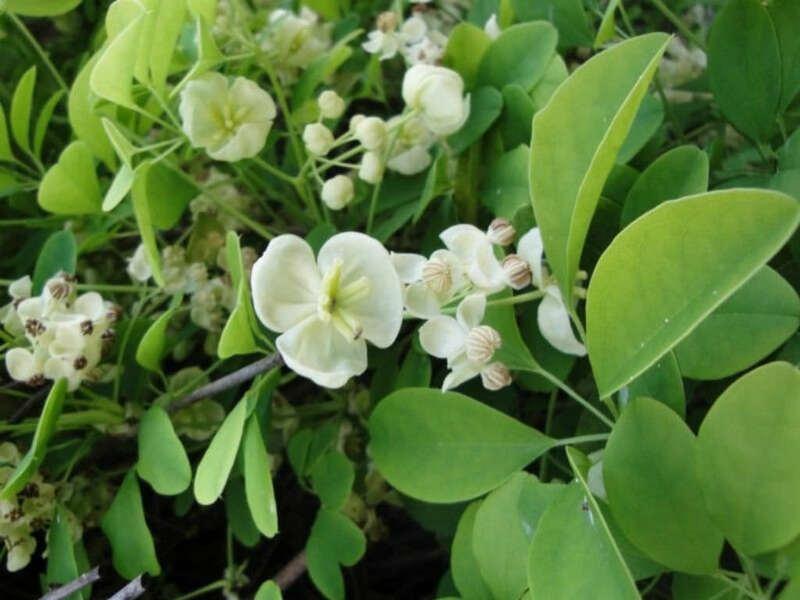 Akebia quinata ‘Alba’ is a semi-evergreen climber with bright green leaves composed of 5 elliptic or obovate leaflets notched at the tips. 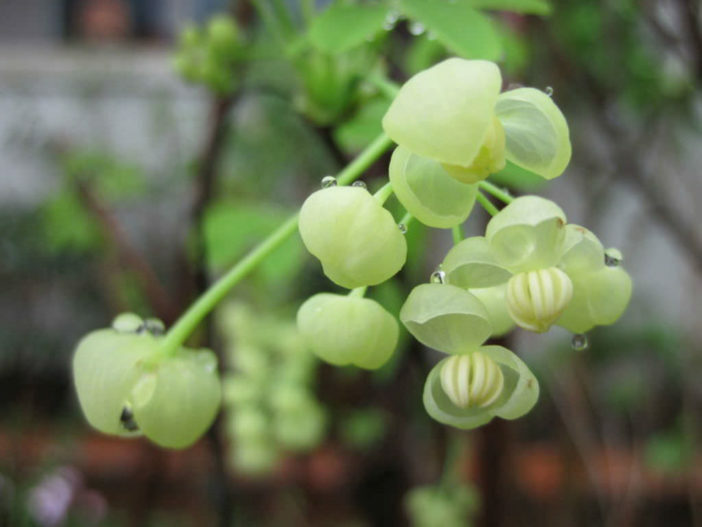 It can grow up to 40 feet (12 m) at a fast rate. 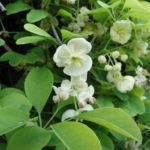 Fragrant, lemony-white flowers, with larger females at the base of the raceme, are sometimes followed by purple fruits up to 4 inches (10 cm) long. 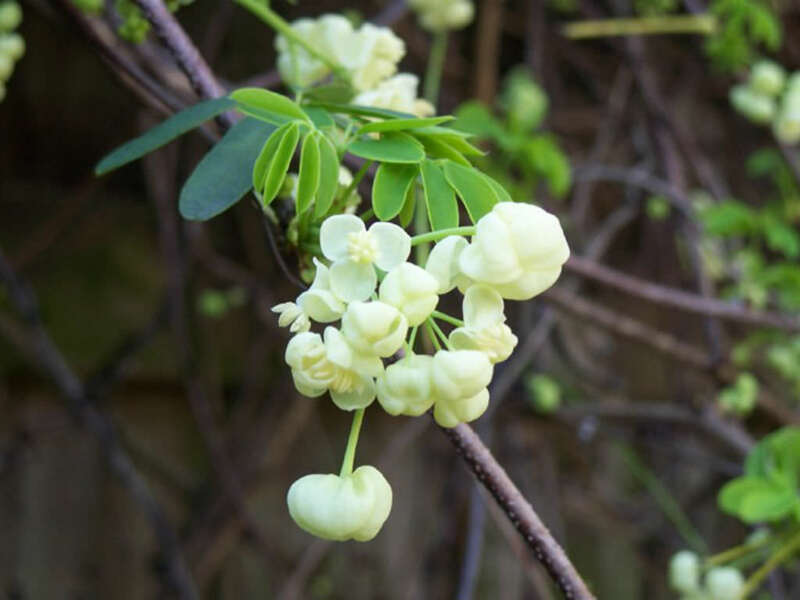 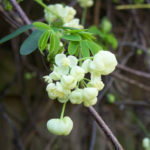 It is slightly more evergreen in nature and blooms a bit earlier with more fragrance.